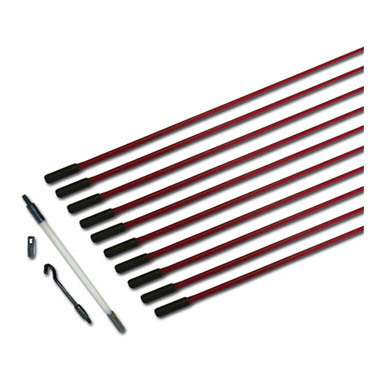 Armeg Cable Rods Set (10 x 1m Rods) is the quick and easy cable-routing solution! Specifically designed for saving time when routing cables through holes, cavities and conduits. 10 x 1m fibreglass electricians cable access rods with high grade connectors.